We bring forth supreme Test Tube PEG Rack for our clients. 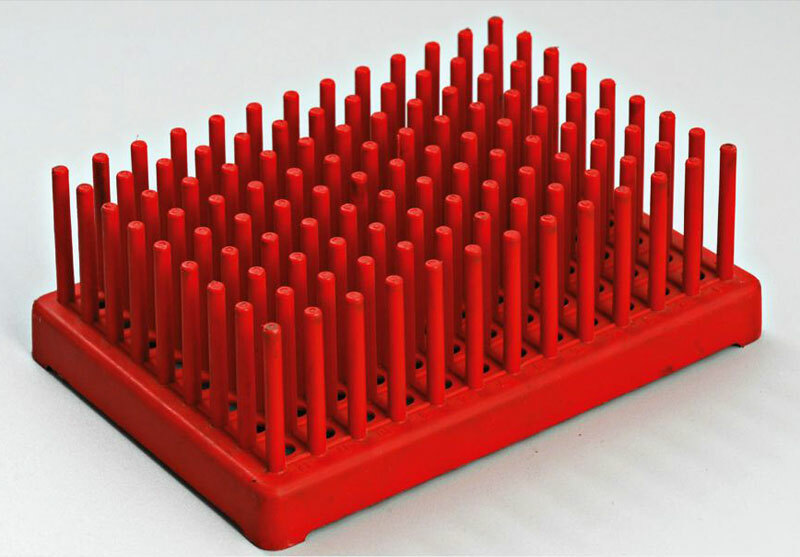 Our range of Test Tube PEG Rack has been highly appreciated for its quality.These can conveniently hold inverted tubes for drying purpose and minimizes collections of airborne contaminants inside the tube. This rack can also be used to hold and dry electrophoresis and chromatography plates.